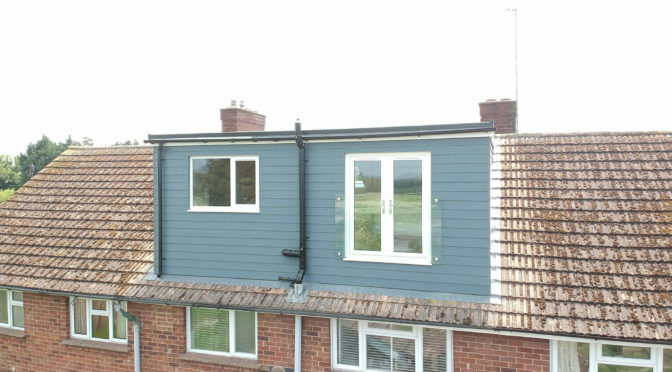 This is a conversion we have completed for a family looking to add space to their existing home. 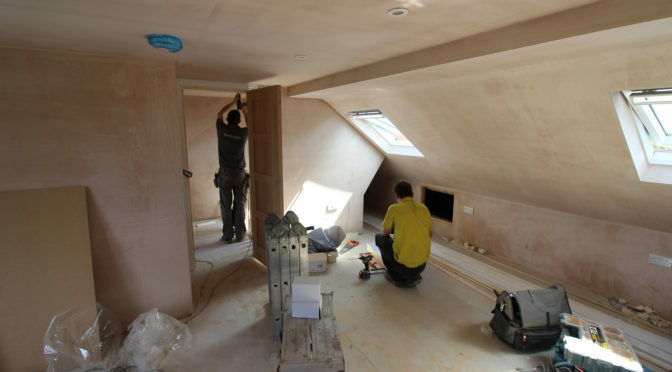 Our clients had already had plans drawn, but need structural calculations to be able to convert the space. 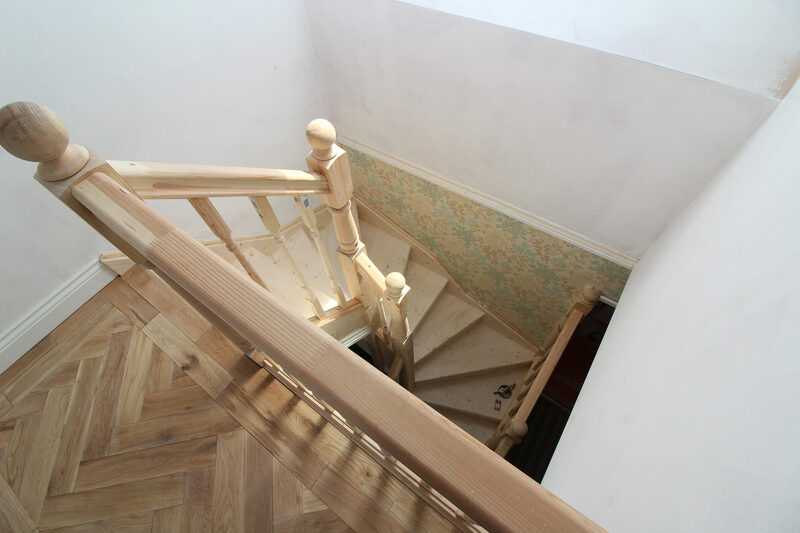 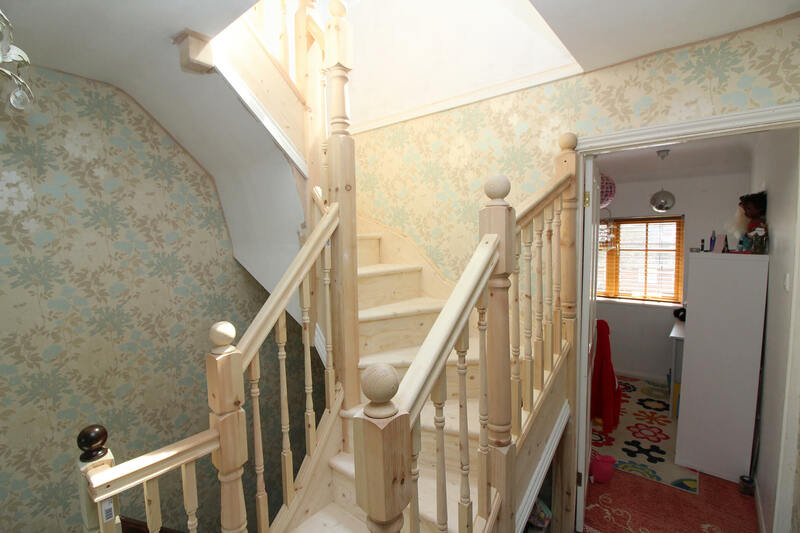 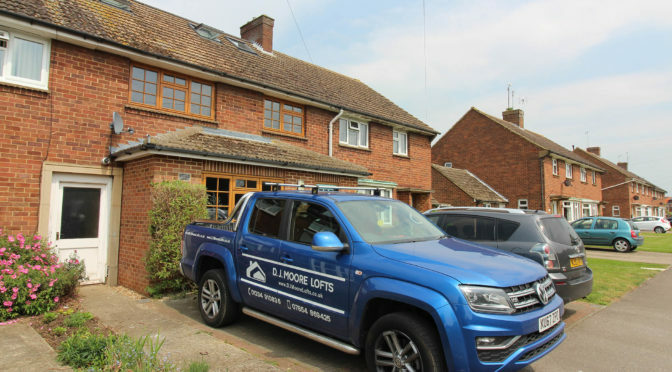 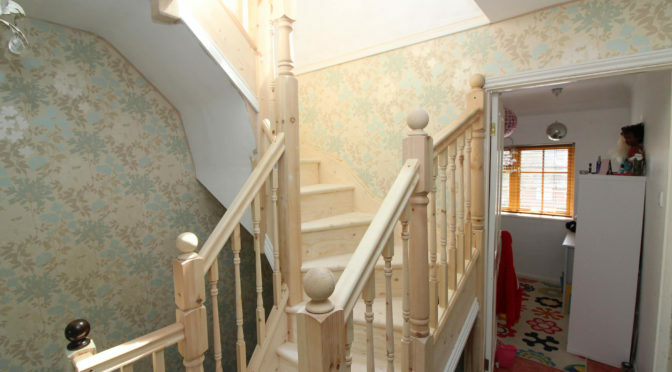 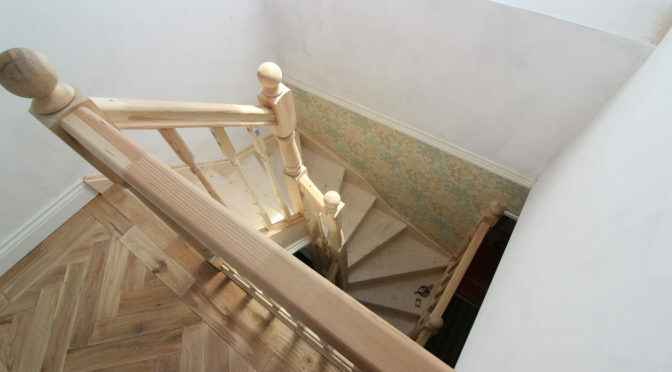 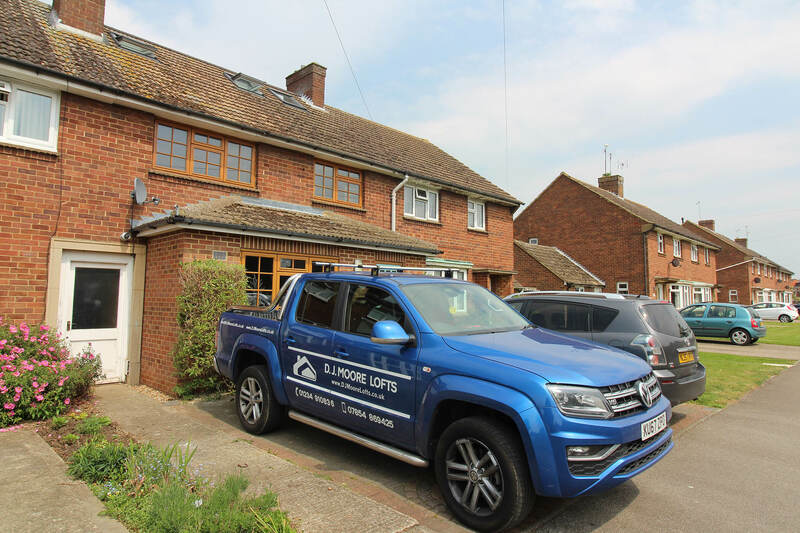 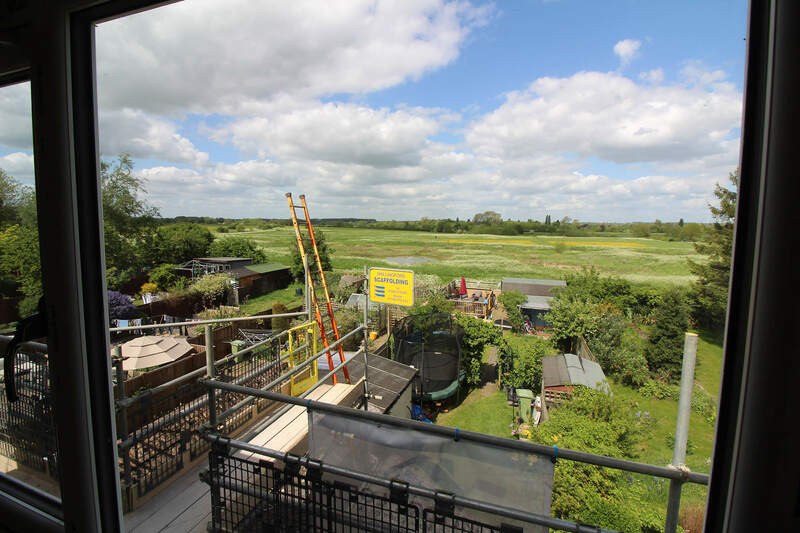 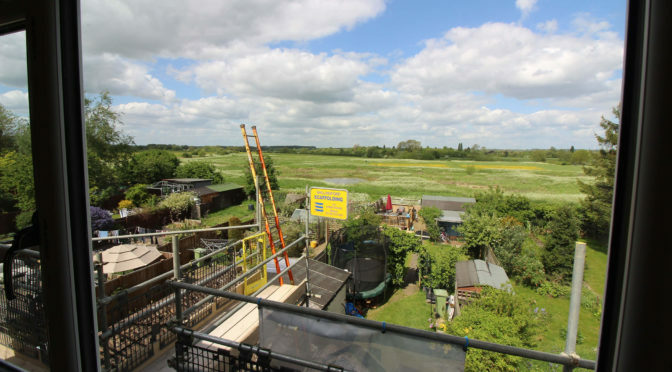 We allowed for the calculations in our quote and handled this for them too; this was so we could look to design the loft structurally in a way to give the optimum space and height. 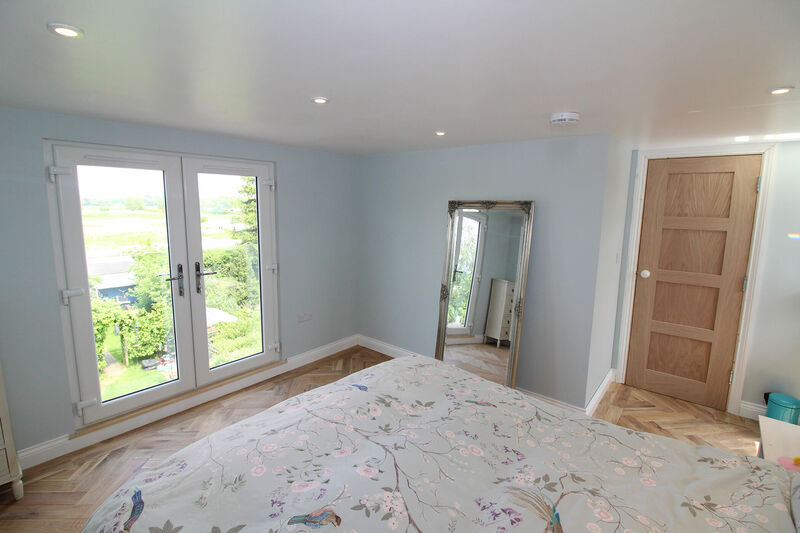 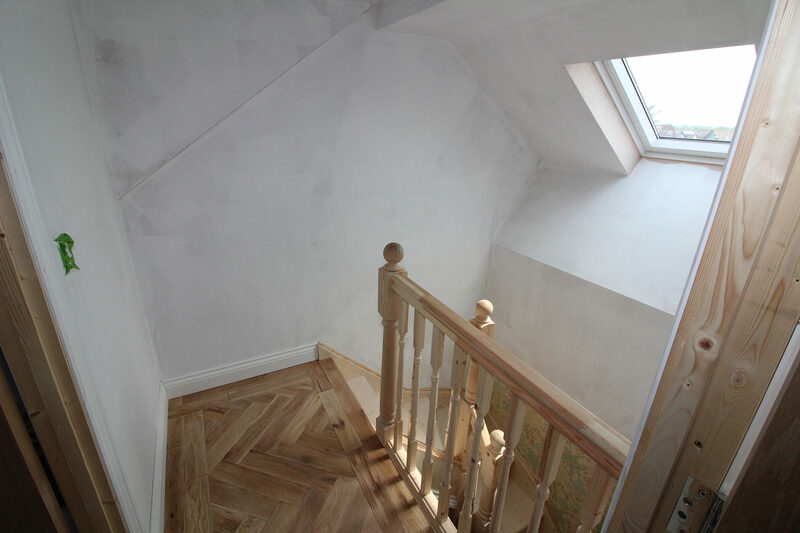 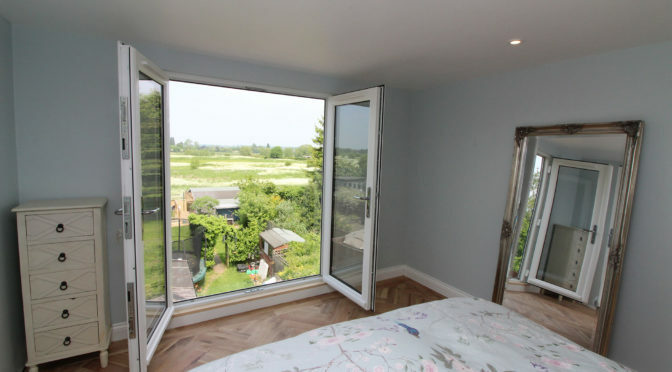 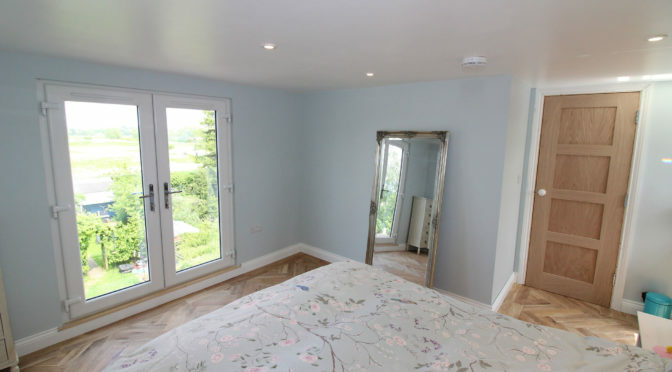 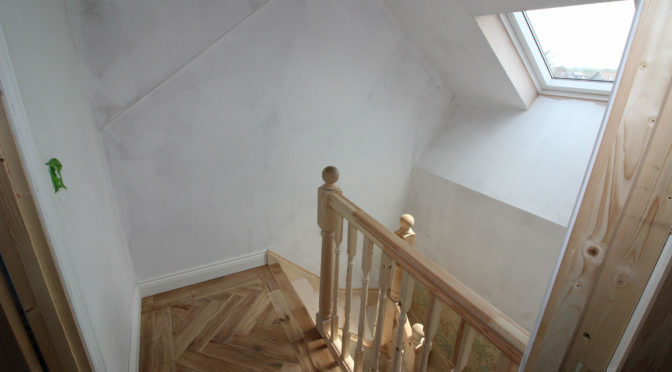 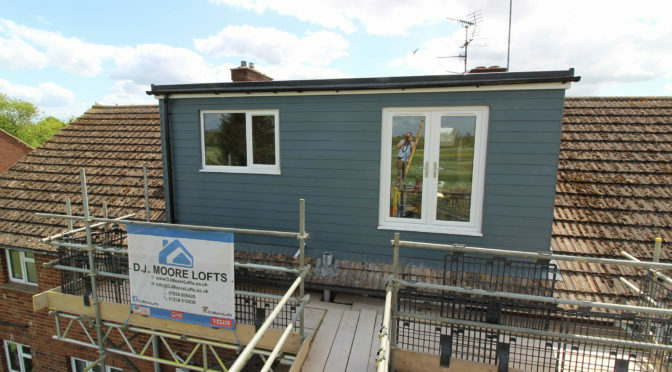 The conversion originally was going to be 2 bedrooms, but during the build the clients saw the fantastic space the rear dormer had added, so they decided to turn it into one large master bedroom with an ensuite. 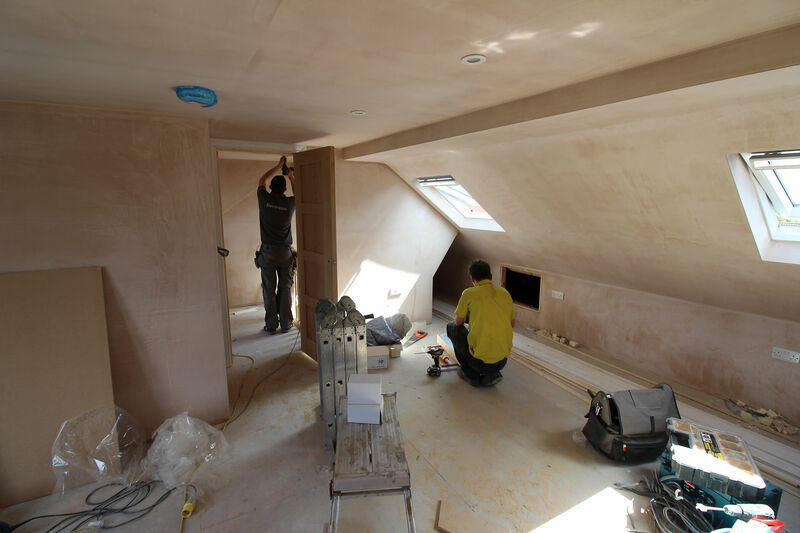 As the client is a plumber they wanted to complete the plumbing at their own pace and time, which was no problem. 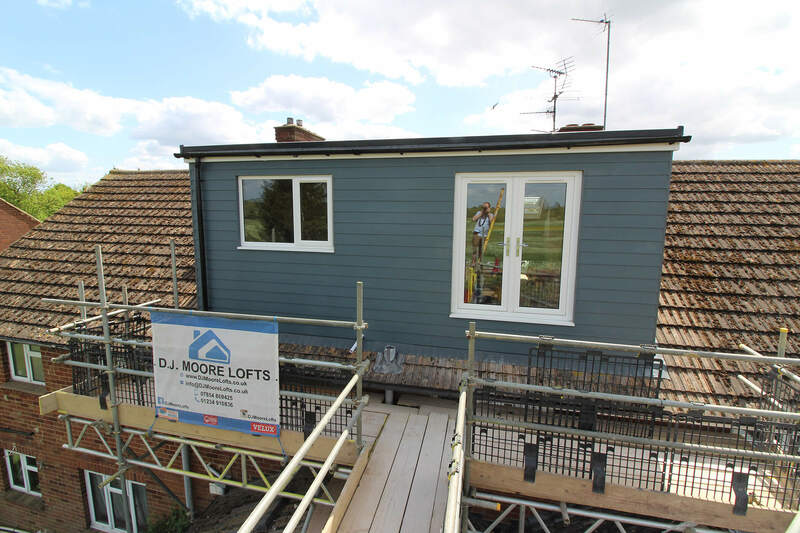 The rear dormer is finished in a slightly different colour to normal. 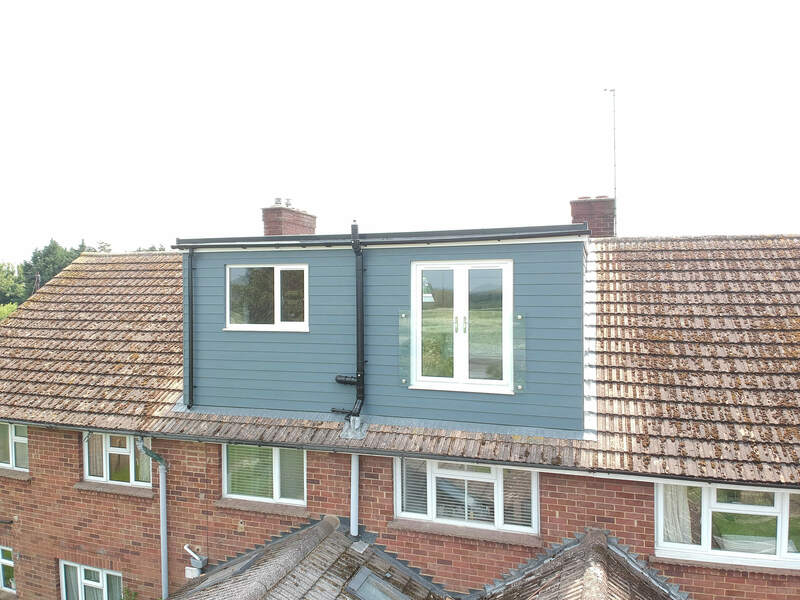 After showing the family the different colours and type of finishes available, they decided on a duck egg blue for the dormer and also upgraded to a glass Juliet balcony. 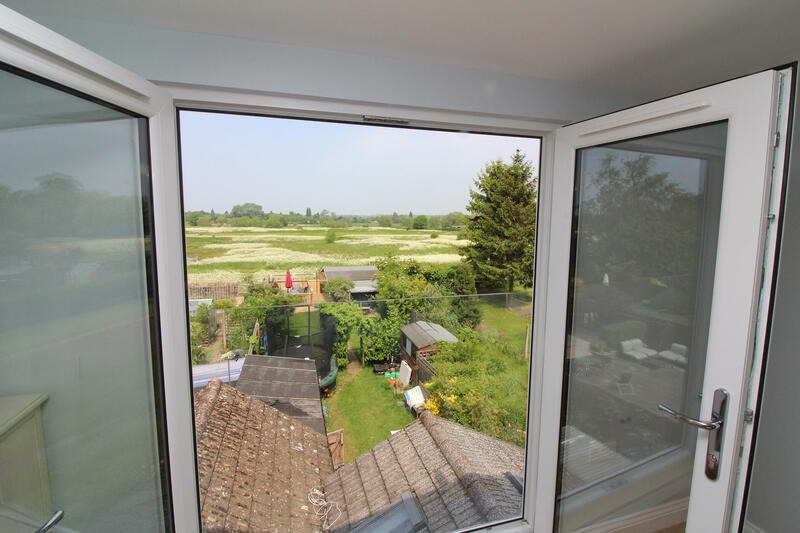 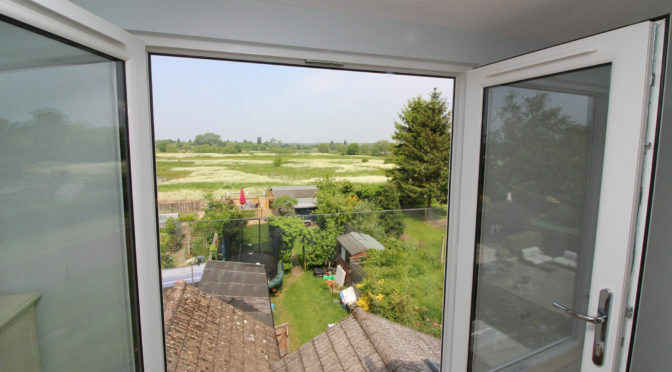 This conversion overlooked a stunning field with a view that is just beautiful. 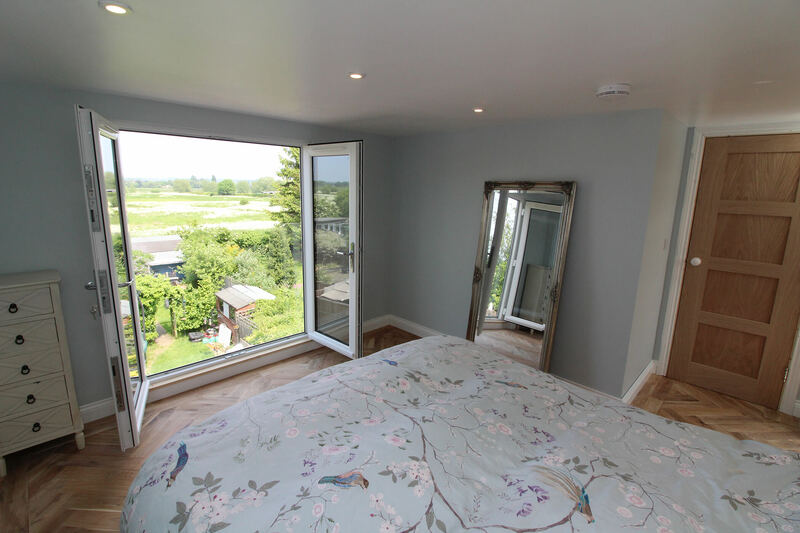 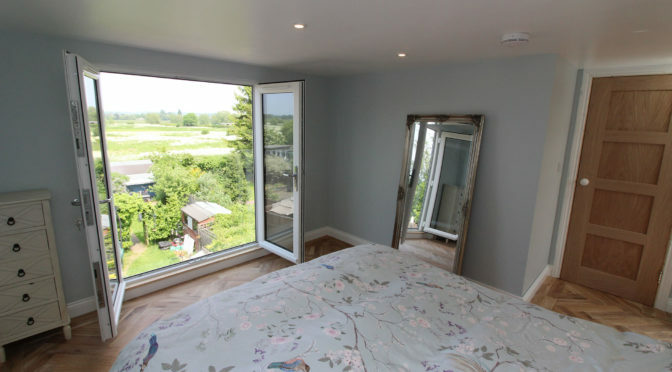 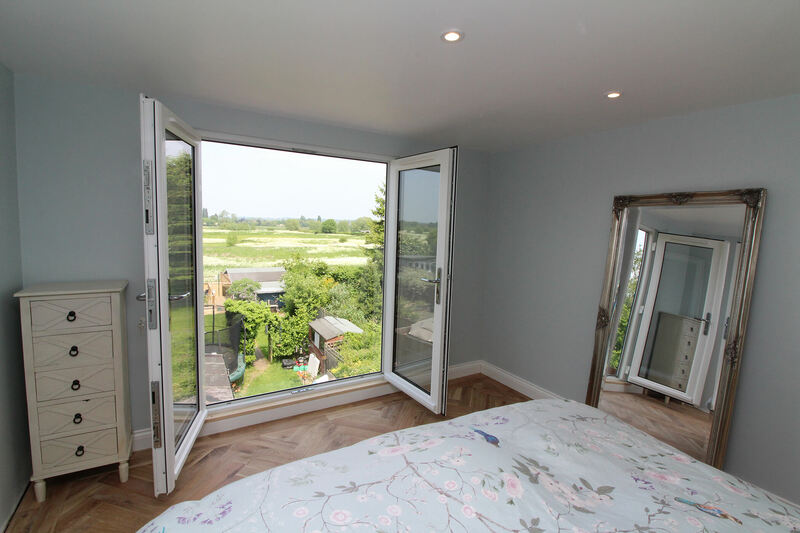 The Juliet balcony helped bring the view in to the room and has really made this conversion stand out from the rest.